In retrospect, maybe it wasn’t the best move to try snorkeling for the first time in choppy waters. Every time a wave came at me, my instinct was to gasp in a quick breath. Breathing through my mouth into a snorkeling tube was completely unnatural, and immersing my face in the water while breathing through that tube was one of the most terrifying things I’ve ever done. I was sure I would drown. I didn’t have the rhythm of the breathing down yet, and the waves added to my discomfort. I was fairly hyperventilating into the tube, which as anyone can tell you, is most certainly not the way to snorkel. I clung desperately to the floatation device our instructor threw out, scarcely daring to let go when I dared to peer underwater. Once when I took my face out of the water, I spit out my breathing tube and promptly sucked in a huge mouthful of saltwater. If I thought snorkeling was terrifying before, I assure you, it’s nothing compared to the feeling I had after swallowing saltwater. I coughed violently and couldn’t take in air. I sounded like I was having an asthma attack (or maybe even like I was dying), so much so that our instructor swam over to me, ready to save my life. Yeah, nothing to see here, folks. Just your typical novice doing everything the wrong way. The trouble was that I wanted to trust myself and my own instincts rather than trusting the equipment to do its job. I started a new book the other day. By the end of the first chapter, I knew who would end up with whom and what seemingly insurmountable obstacle would be overcome in the course of the story. It was completely predictable. And yet I continued reading nonetheless, and thoroughly enjoyed the book. A number of books are like this (my own included, one might argue). We know pretty much from the get-go what’s going to happen. And this knowledge helps us through the conflicts and tensions that arise in the middle of the story. We read on, through painful setbacks and embarrassing scenes, knowing that things are going to turn out okay in the end. We trust that the author has the characters’ best interests in mind and will see them to a satisfying conclusion. I’m glad I didn’t live in the Old Testament days of wandering in the wilderness with the Israelites. I can’t imagine how difficult that lifestyle would have been. Nor can I see eating the same thing for every meal- manna and quail. I’m sorry, but that would get old pretty fast. 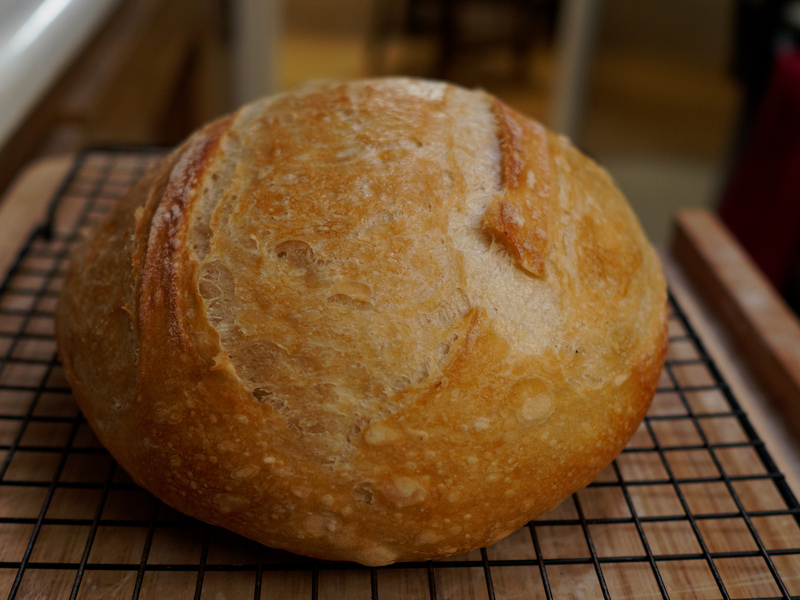 (On the other hand, at least it took the guesswork out of what to make for dinner every night…) Still, I have to admit that this manna phenomenon was pretty amazing. Every morning God provided for His people, and they always had just the right amount of food. No leftovers (unless it was the sixth day and they gathered some for the Sabbath), and no one went away hungry. Incredible. But it also taught the people a valuable lesson- God provided for them one day at a time. They learned to trust Him that He would indeed provide for them the following day. There’s something so innocent about babies. 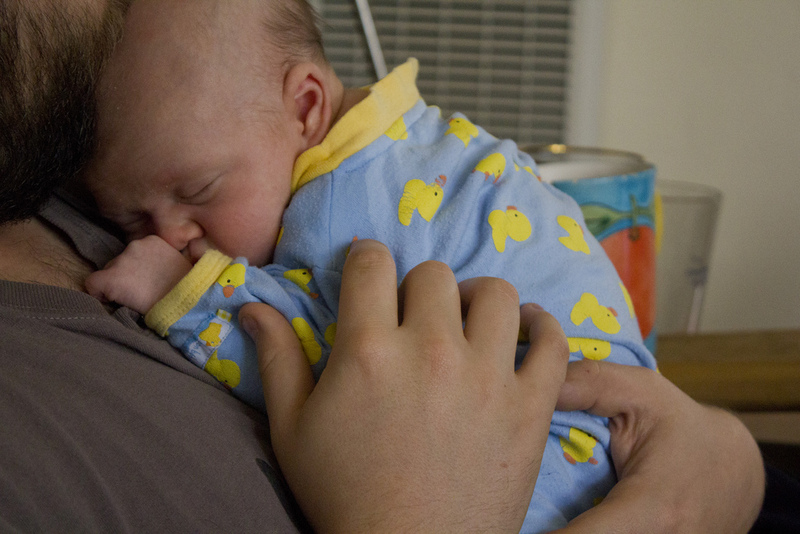 Having had four of them myself, I know how sweet it is when a baby falls asleep on your shoulder. They’re so trusting and vulnerable, all at the same time. When a baby is fussy, all you need to do is hold them to comfort them. If you can persevere through their crying (or screaming), eventually they’ll calm down and be still. They lose this as they get older. Trust me, I know. My 10-year old is much harder to reassure than is my almost 2-year old. He needs me to reason with him and explain things logically, which can’t always be done. My baby, on the other hand, only needs to know I’m there and that I love her.